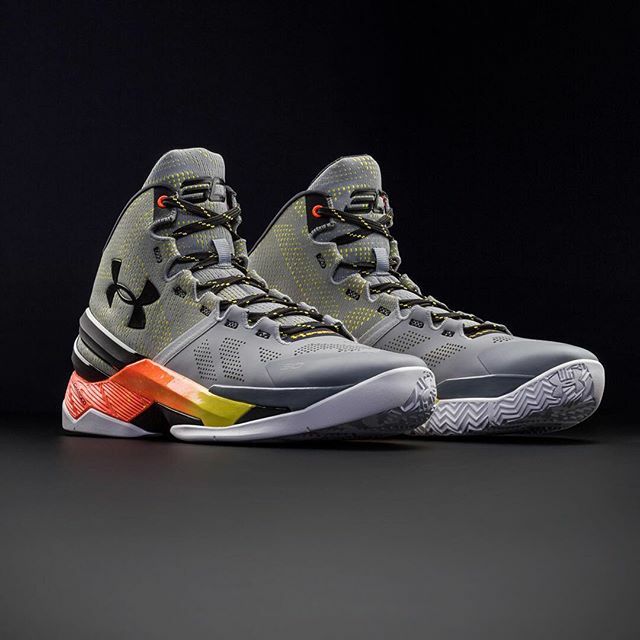 Another colorway of Under Armour Curry 2 is about to drop this weekend. "Iron Sharpens Iron" stems from value of working with a team. As a member improves, same with the other members. The shoe has a predominantly grey color scheme with hits of yellow and orange accents. The shoe drops in the States on October 24, 2015. With the success of Curry One, Under Armour will sure bank on Steph Curry's brilliance on and off the court.